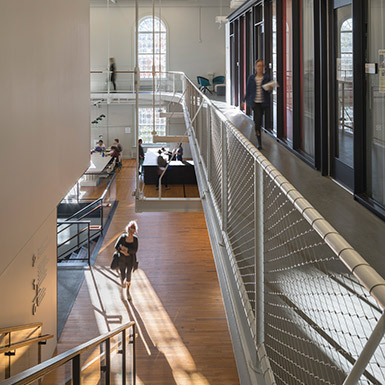 Haverford College’s new Visual Culture, Arts, and Media (VCAM) facility provides students, faculty, staff, and the wider community with a new, highly flexible, 24/7 creativity hub for interpreting and making visual media. 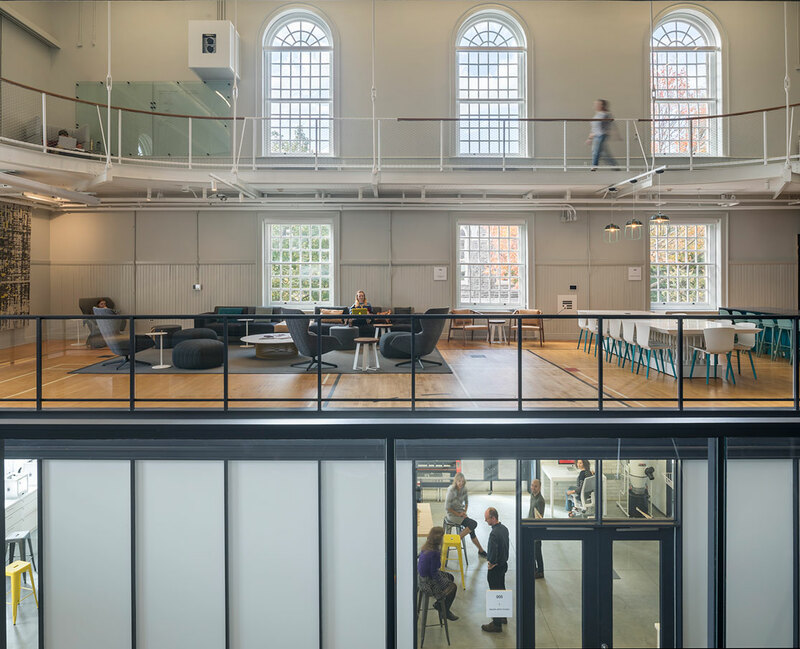 The project repurposes a gym built in 1900 into a vibrant 21st-century learning environment. The design preserves the old gym’s central, two-story vaulted space, while inserting a three-story, object study/media production classroom and creating a new living room for the campus. All primary program spaces open onto and animate the heart of the building—a three-story remnant of an indoor running track—that now functions as campus family room with kitchen, community table, display area, projection wall, and movable furniture. Classrooms, labs, offices, and presentation spaces encourage trans-disciplinary collaboration and experimentation in digital media, film, 3D fabrication, and material culture.